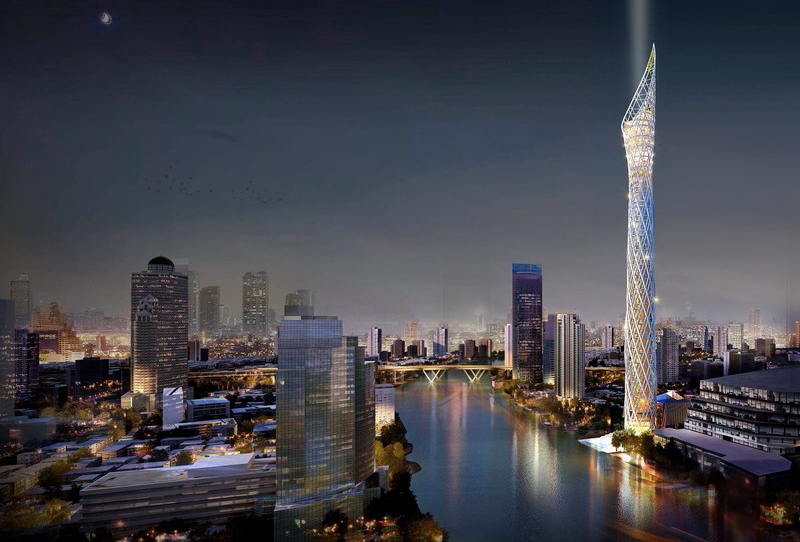 There is a 459 metre observation tower planned for Bangkok, Thailand that will be the tallest observation tower in South East Asia and the 6th globally. This tower is being jointly built by two different foundations. The Thai cabinet recently gave its approval to this project. The cost of it all is going to be around 138 million dollars. There are more than 50 private sector organizations that are contributing financially to this project. The observation tower is set on a plot of land owned by the Thailand Treasury Department that is over 6000 square meters. This entry was posted on Wednesday, October 4th, 2017 at 2:19 pm and is filed under News. You can follow any responses to this entry through the RSS 2.0 feed. You can leave a response, or trackback from your own site.